The main town on the island of the same name, Diu connects to the south coast of Gujurat by bridge. Start off your visit on the 7th (Tue): enjoy the sand and surf at Ghogla Beach, then steep yourself in history at Diu Fort, and then take in the spiritual surroundings of St. Paul's Church. On your second day here, tour the pleasant surroundings at Nagoa Beach, then take in the architecture and atmosphere at Church Of Our Lady of Remedes, then contemplate in the serene atmosphere at Gangeshwar Temple, and finally take in the architecture and atmosphere at St Thomas Church. To see traveler tips, ratings, other places to visit, and more tourist information, read Diu trip planner . Mumbai to Diu is an approximately 3-hour flight. You can also drive; or do a combination of train and taxi. 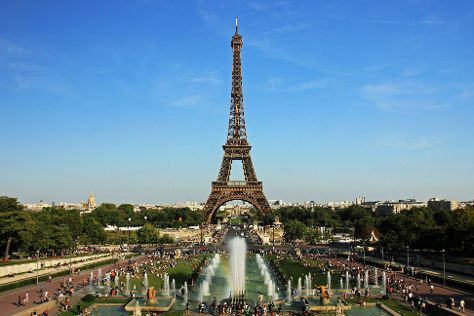 Finish your sightseeing early on the 8th (Wed) to allow enough time to travel to Paris. Give yourself a bit of retail therapy at Champs-Elysees and Saint Germain des Pres Quarter. Museum-lovers will appreciate Musee d'Orsay and Louvre Museum. The adventure continues: admire the striking features of Cathédrale Notre-Dame de Paris, wander the streets of Montmartre, don't miss a visit to Eiffel Tower, and appreciate the history behind Arc de Triomphe. For more things to do, ratings, other places to visit, and tourist information, refer to the Paris trip itinerary builder . Explore your travel options from Diu to Paris with the Route module. The time zone difference moving from India Standard Time to Central European Time is minus 4 hours. In May, plan for daily highs up to 20°C, and evening lows to 11°C. Wrap up your sightseeing on the 11th (Sat) to allow time to travel back home.